Google God | Google God is about searching the Internet and looking for love in all the wrong places. 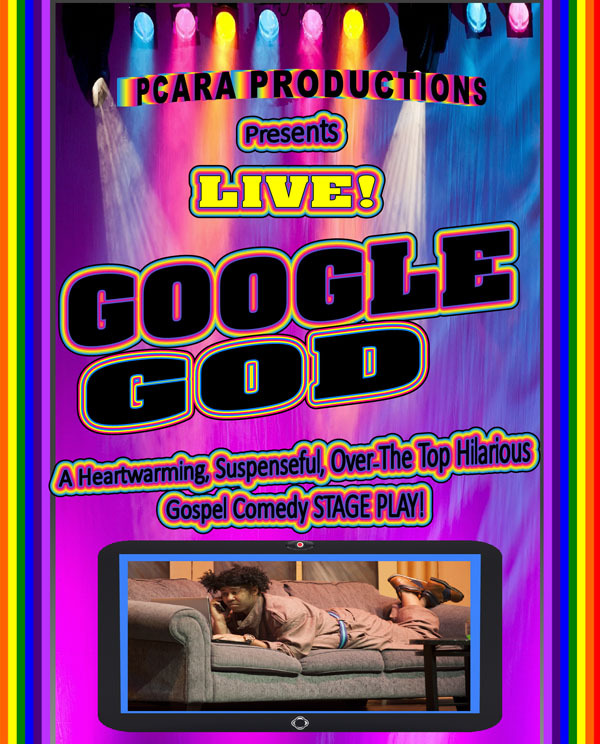 PCARA Productions' heartwarming, suspenseful and over-the top hilarious gospel comedy stage play, “Google God” is about searching the Internet and looking for love in all the wrong places. "Google God" will keep you on the edge of your seat wondering what is next. 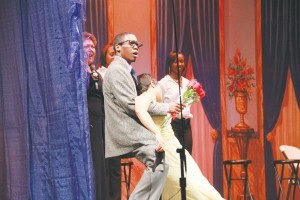 "Google God" will have you laughing out loud and stomping your feet! 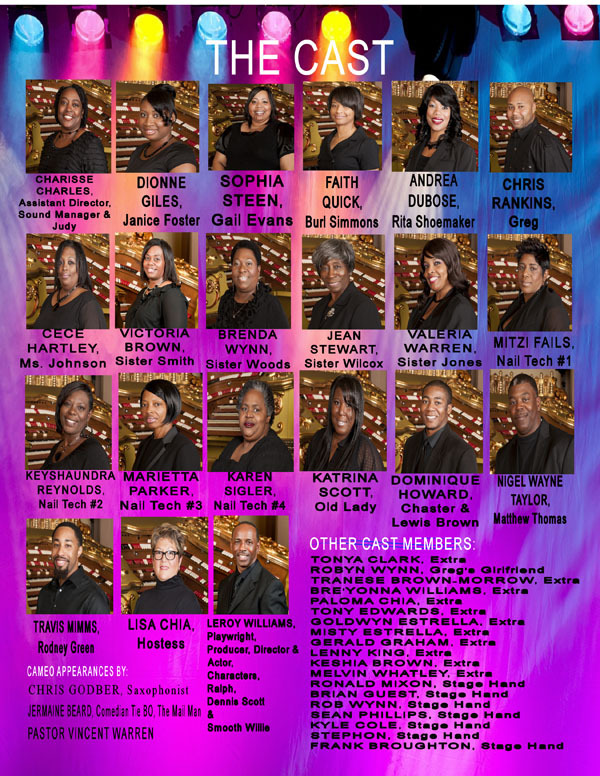 "Google God" will be remembered as one of America's most unique gospel comedy stage plays ever seen on stage! Get your copy now! Church ladies dance with good news in Google God Saturday’s production of Google God had everyone in attendance in stitches with laughter. Playing to a full house, the characters brought to life many everyday situations that happens in the church today. Google God made lite of young ladies going to church not to worship, but to find a man and using their Ipads and computers goo- gled men as well. From church to the Dating Game, these young ladies found not only a man but sheer disappointment in their strategy for looking.The show kept everyone laugh- ing as it over dramatized the situ- ation, butnevertheless, it showed what really happens when we take matter in our own hands in- stead of letting God. Surprise pick of her man causes contestant to faint in surprise. 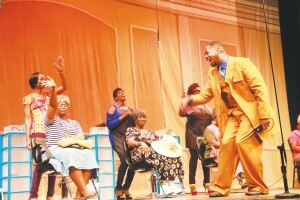 (Minister Vincent Warren sings ‘Do It God’s Way’ in beauty shop scene in Google God performance) Leroy Williams , producer, used his talents well in this two part play. Look for Google God in DVD. It’s well worth the expense for entertainment. "Giving God all the Glory tonight!! !